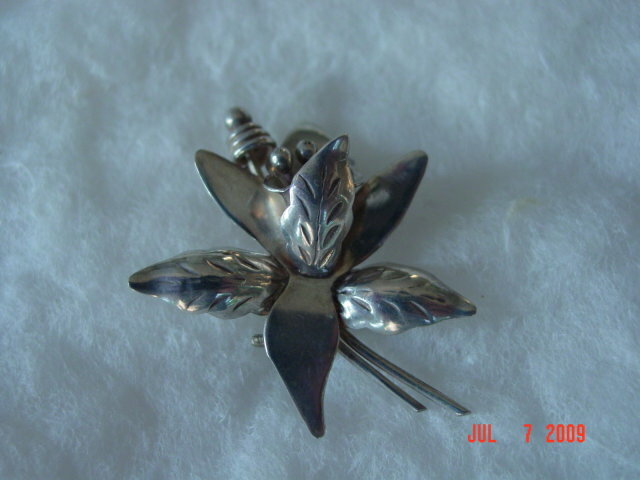 This sterling silver pin is in the shape of an orchid flower. 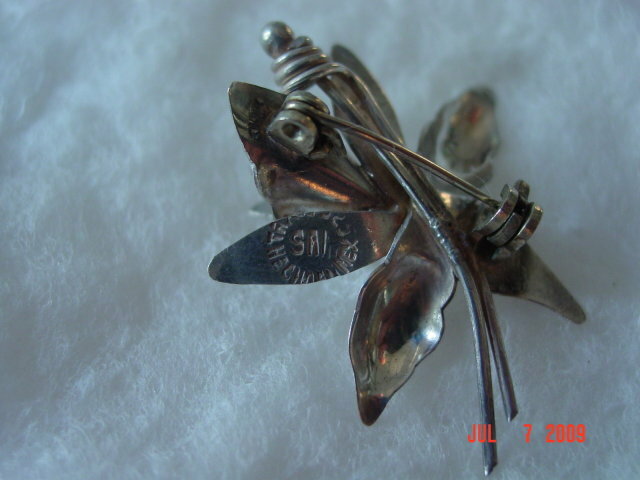 It has the name Hecho en Mexico in a circle on the back with what looks like the initials SVI in the center. It is in excellent condition. 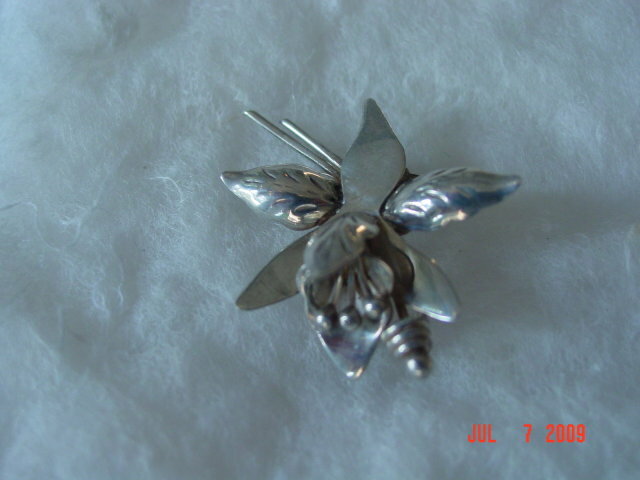 Items Similar To "Sterling Silver Orchid Pin"